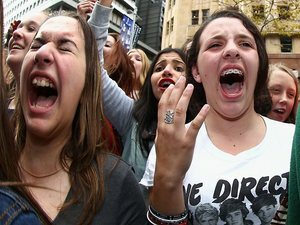 After last month’s e-newsletter about virtual hiring, readers responded with the enthusiasm of teenage girls at a One Direction concert. There wasn’t as much screaming, but the energy level was high. Most of the people I heard from were very supportive of virtual hiring, though there were a few skeptics in the bunch. The skeptics noted that remote work isn’t always feasible and it’s not without a price. In short, virtual hiring isn’t for everyone; and it isn’t for every role. And that’s precisely what I want to focus on this month. How do you determine if virtual hiring is the right move for your organization? To answer this question, I went to someone with a truckload of experience with remote employees: Todd Noebel, the Director of Hiring and Professional Development with Mercatus Center and Institute for Humane Studies. Todd suggested there are four questions you should ask before considering a virtual hire. 1. Will virtual hiring work in our organization? Does your organization have the culture and values necessary to support virtual employees? If not, virtual hiring probably isn’t for you…yet. Perhaps you want to explore why virtual hiring wouldn’t work now and begin changing the culture so that it can handle virtual roles in the future. 2. Will virtual hiring work for this particular role? Not every role can be remote. For instance, a virtual receptionist probably wouldn’t cut the mustard. Likewise, a senior level manager of a large office might not excel virtually. Some IT and HR roles may not be suited for remote work, and most entry level positions require a bit more oversight than can be accommodated via a remote scenario. 3. Will virtual hiring work for the supervisor? To paraphrase a thought experiment: if an employee works at home and no supervisor is around to see it, does the employee create any value? Some managers feel the need to witness their worker bees buzzing around the office. Unless they see employees toiling away, they aren’t comfortable or confident the work is getting done. For these types, virtual roles likely won’t work. In addition to a high level of trust, virtual supervisors need to be excellent at exchanging information and ideas since virtual roles require focused communication. 4. Will working virtually suit the employee? Let’s face it: the ideal virtual employee is above-average. Slackers need not apply. Self-starters who require minimal oversight make for good virtual employees. And, as with supervisors, virtual employees should be excellent communicators. Focus and work ethic are also critical to remote situations. If you think an employee on any given day is just as likely to watch The Young and the Restless as she is to actually work, perhaps a virtual role isn’t the best idea. I hope these questions help you determine whether virtual hiring is an option for your organization. In coming e-newsletters we will tackle more issues related to remote work, including how to maximize effectiveness of virtual scenarios, the benefits of virtual hiring, etc. We’ll also be giving away One Direction concert tickets to the person who offers the best advice about virtual hiring. I’m kidding. I wouldn’t do that to you.